Begin by testing yeast. Dissolve 2-1/4 tsp. of yeast (for 1 package) in 1/2 cup warm water and let sit for 5 minutes. If the mixture bubbles, the yeast is alive. If not, go out and buy fresh yeast. 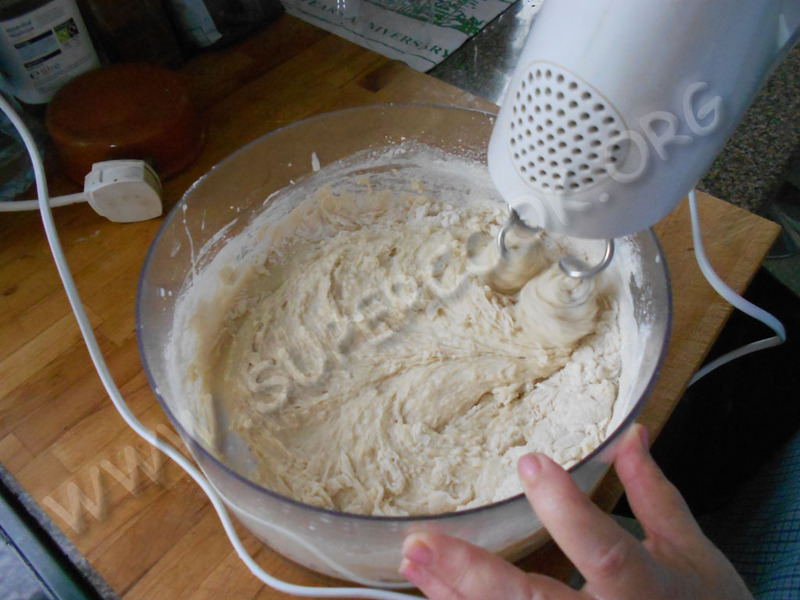 Combine about 1/4 of the flour and the rest of the dry ingredients in a large mixing bowl. Heat the liquid ingredients in a saucepan until just warm. A food thermometer should read 25-30° C (110° F). Shortening or butter does not need to melt but should be soft. 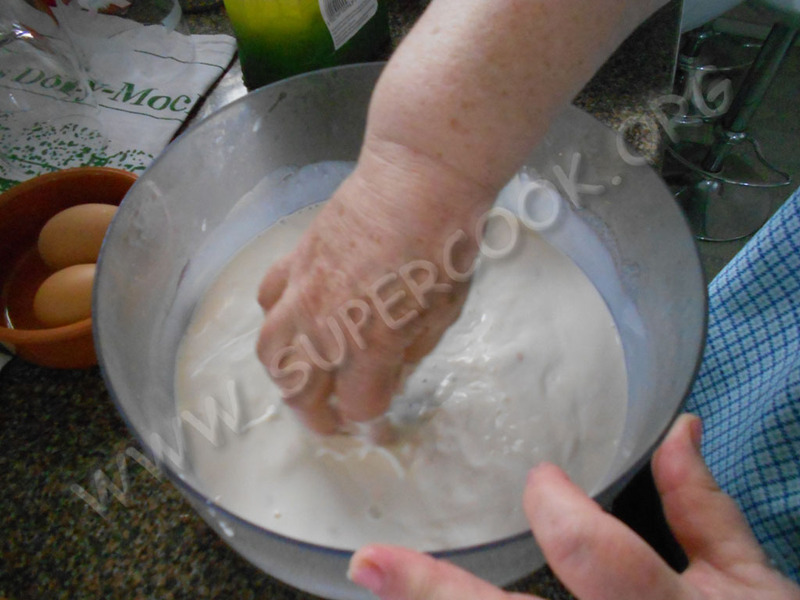 Combine dry and liquid ingredients and add the softened yeast along with eggs, if called for. Beat well for three minutes, using a mixer or by hand. 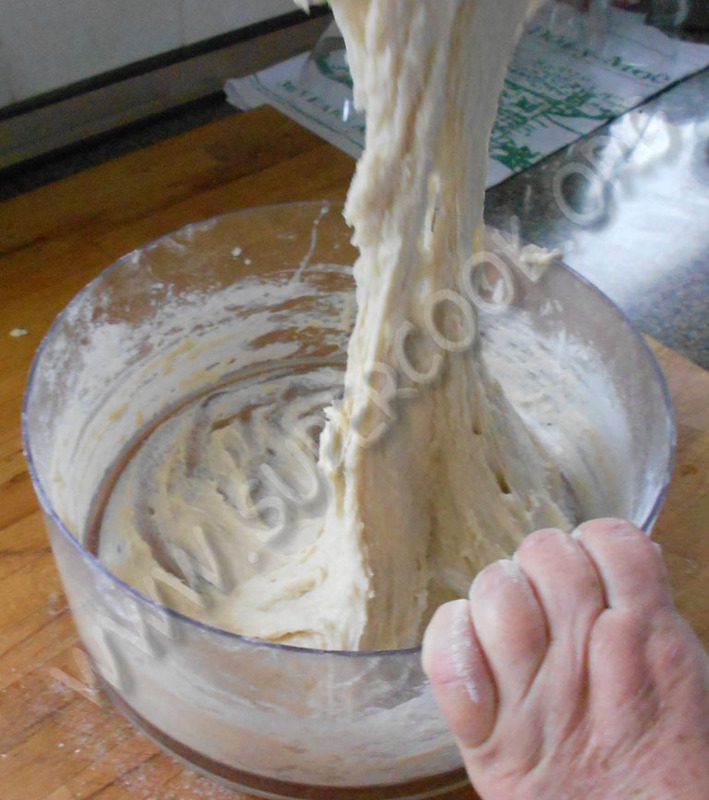 When the dough becomes too stiff to stir, sprinkle a clean working surface with flour and turn the dough onto the surface. Begin kneading. Gather the dough into a ball and fold it in half towards you. Press down and away from you firmly but lightly with the heels of your hands. Turn dough 1/4 turn and repeat process. Knead as long as the recipe calls for, until the dough is smooth and feels springy and elastic. Cover the bowl with a towel and set in a warm spot to rise for 40 minutes. Punch down dough and let it sit for 10 minutes before proceeding. Divide dough into pieces as called for in recipe.